From one of contemporary literature's most acclaimed and beloved authors comes this magnificent new novel set in a small town in Ireland in the 1960s, where a fiercely compelling, too-young widow and mother of four moves from grief, fear, and longing to unexpected discovery. Toibin's portrayal of the intricacy and drama of ordinary lives brings to mind of the work of Alice Munro. 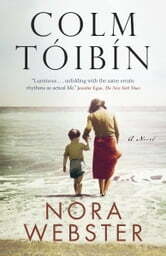 Set in Wexford, Ireland, and in breathtaking Ballyconnigar by the sea, Colm Toibin's tour de force eighth novel introduces the formidable, memorable Nora Webster. Widowed at 40, with four children and not enough money, Nora has lost the love of her life, Maurice, the man who rescued her from the stifling world she was born into. Wounded and self-centred from grief and the need to provide for her family, she struggles to be attentive to her children's needs and their own difficult loss. 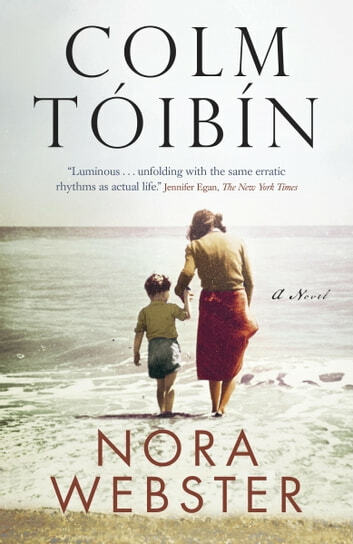 In masterfully detailing the intimate lives of one small family, Toibin has given us a vivid portrait of a time and an intricately woven tapestry of lives in a small town where everyone knows everyone's business, and where well-meaning gestures often have unforeseen consequences. Toibin has created one of contemporary fiction's most memorable female characters, one who has the strength and depth of Ibsen's Hedda Gabler. In Nora Webster, Colm Toibin is writing at the height of his powers. The characters are all unique, all have great depth - and each one of them grows through the course of this book. Some in very small, subtle ways; others in leaps and bounds. I found this book totally absorbing and very well written. Colm Toibin doesn't have to hit one over the head with heavy-handed prose to make an impact - his style is real and captivating; the lives, lifestyles, and surroundings alive in their simplicity and complexity. An average story about a hard luck family held together by memories , traditions and love, you might call it Irish life in the 80s. Irish widow struggles to adjust. Ponderous and shallow. Characters do not develop their potential. Setting unremarkable.